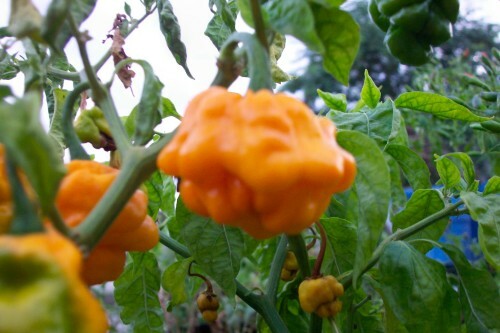 The true Yellow/Orange Scotch Bonnet that has a hat like shape to it. Heat level can be hotter sometimes than a traditional orange habanero. This is the most popular Caribbean Habanero type. Used in making Jerk sauce, hot sauce and many Jamaican dishes. Pods mature to a yellow/orange color and get up to 2.5 inches long and 3 inches wide.